My experience with AutoGeek was positive in all respects. The communications of the shipping information was prompt and accurate. The products (Wolfgang) provided were quality and performed beyond my expectations. My experience was so good that I just submitted any other order. Will. 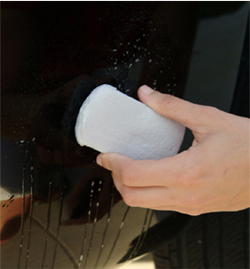 Clean your paint like no other clay bar. I liked the product but it was my first time using clay so I have nothing to make a comparison to. It did seem a bit high priced and I was afraid to use it too long and get scratches. It picked up a lot of comtamination that washing missed. This is a replacement order for my last batch of detailing clay that was ready to be tossed out. It does a great job of extracting particles from the paint. I love how smooth the paint is when I'm finished. I'll continue to use this unless there's something that's much better. ProsDecent job of pulling up particles in paint. The wolfgang clay works as described for contaminates, brake dust, etc. but I found it extremely difficult to remove overspray from my car. 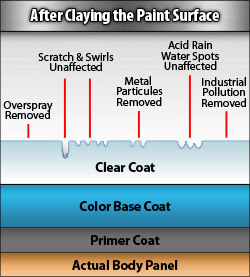 I had to go over the same area 4-6 times (using the wolfgang clay lubricant) in order to remove 85% of the overspray. I was lucky to pick up a SMALL sample of 3M perfect it but what a difference it made. 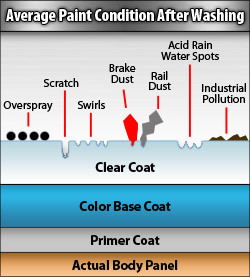 The overspray was gone in one treatment and left the paint incredibly smooth. Wolfgang clay will work for most people but if you are looking at removing overspray I STRONGLY recommend the 3M. As stated in other reviews, if you are used to Meguiar's this clay will seem extremely stiff. The downside is a tired hand from kneading, the upside is very little (if any) clay residue left behind. Because it is stiff I have found that it removes more particles and fallout, quicker. I really like this clay, I got it in a BOGO, but I will purchase it at full price. I konw the instructions say to cut it in half, but you can honestly get away with cutting it in thirds if you are claying smaller vehicles.